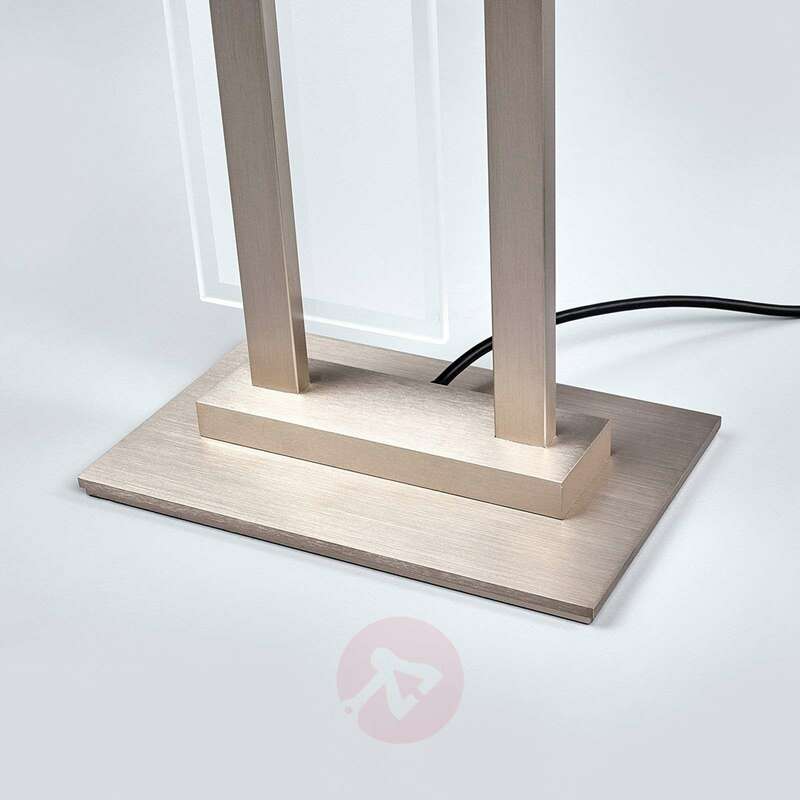 Nele is an especially high-quality lighting product. 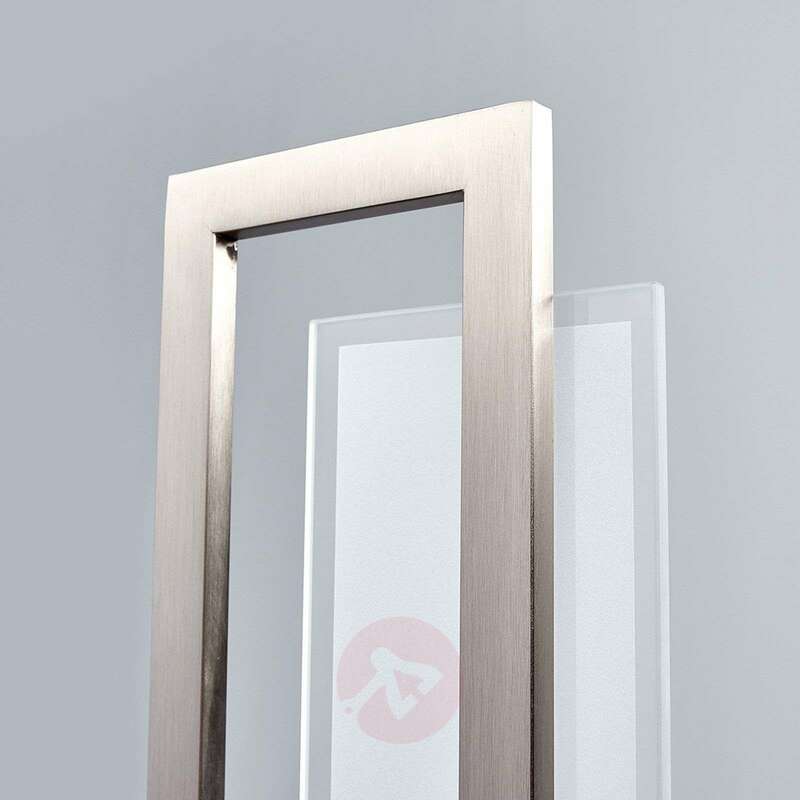 It is made in Germany and fulfils the highest quality standards. 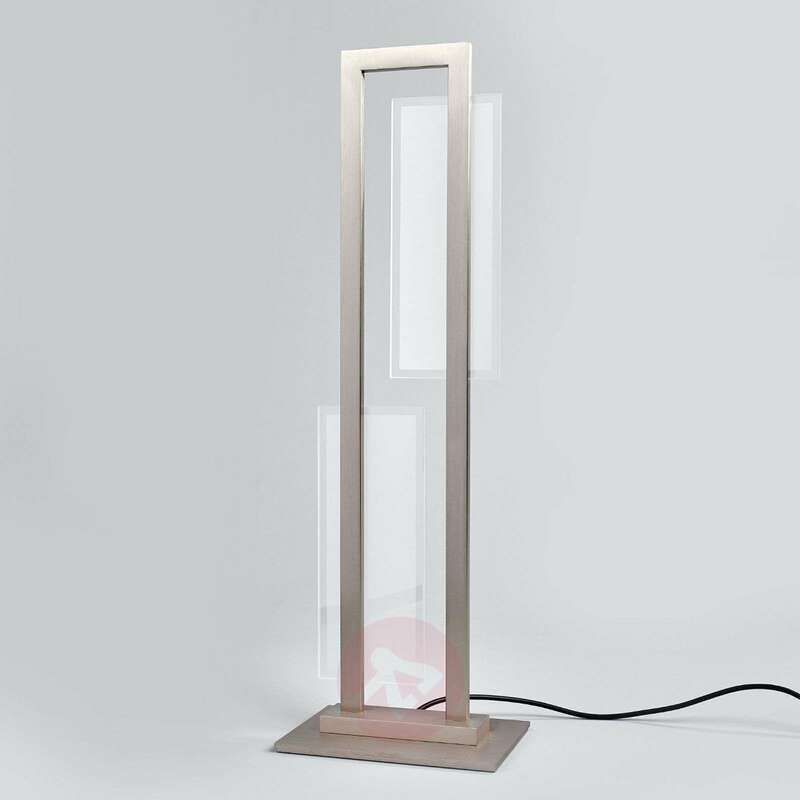 The puristic-looking table lamp consists solely of a metal frame with a satin nickel finish and two glass panels, which serve to cover the bulbs and create a more exclusive look. One of the angular glass panels sits on the bottom left of the light; whilst the other sits in the top right. Both panels are partly satinised - the surface is satin-finished whilst the borders are clear. This design benefits both the appearance as well as the lighting as the clear rims help to create brilliant light reflections. 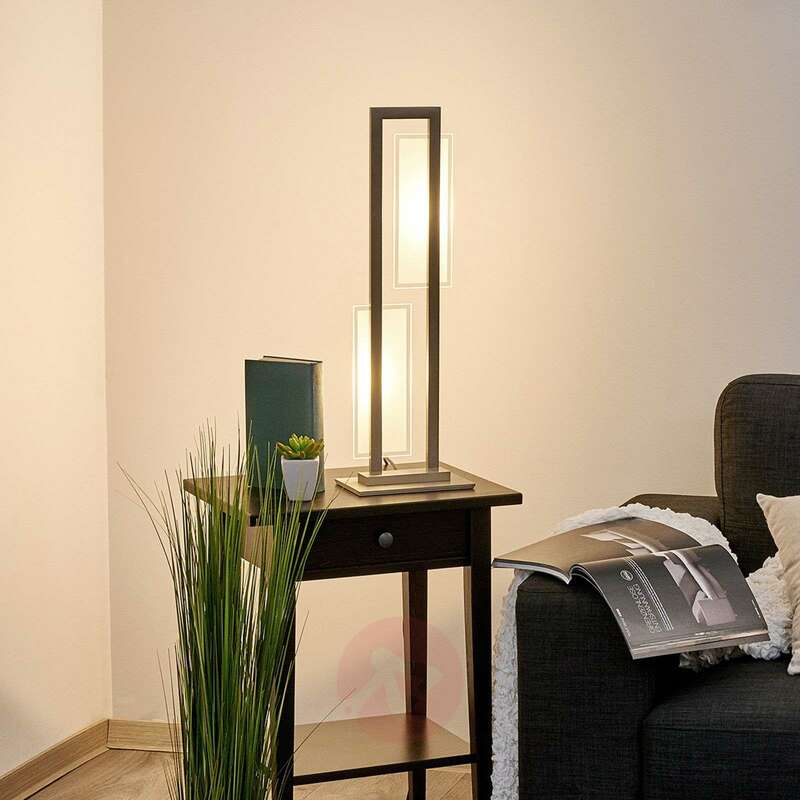 The high-quality LEDs from Citizen have a warm white luminous colour and are built into the steel frame. 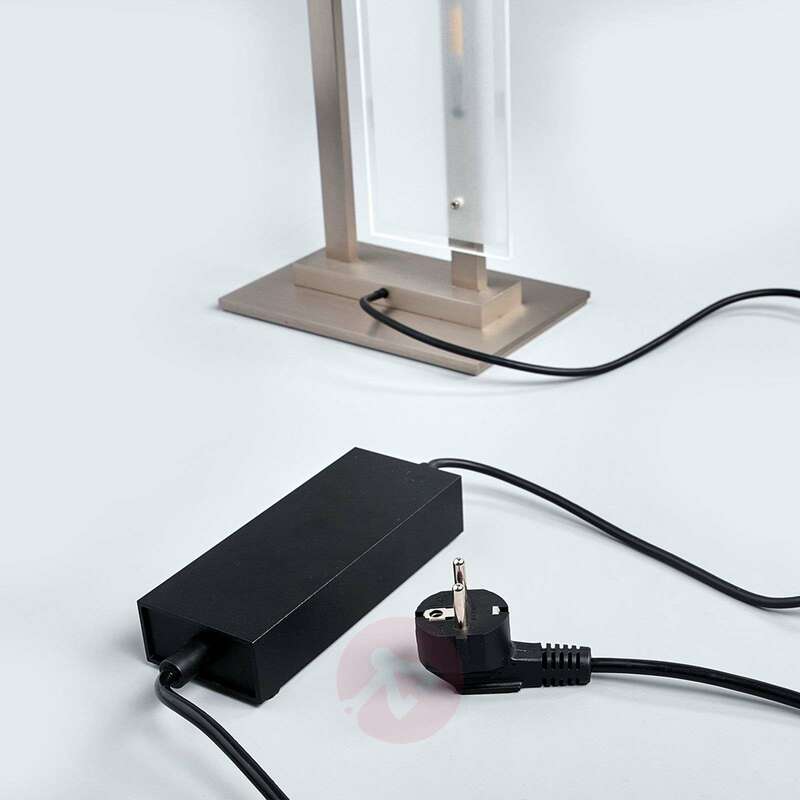 They provide a high light output whilst consuming very little power. This is the perfect combination for consumers. 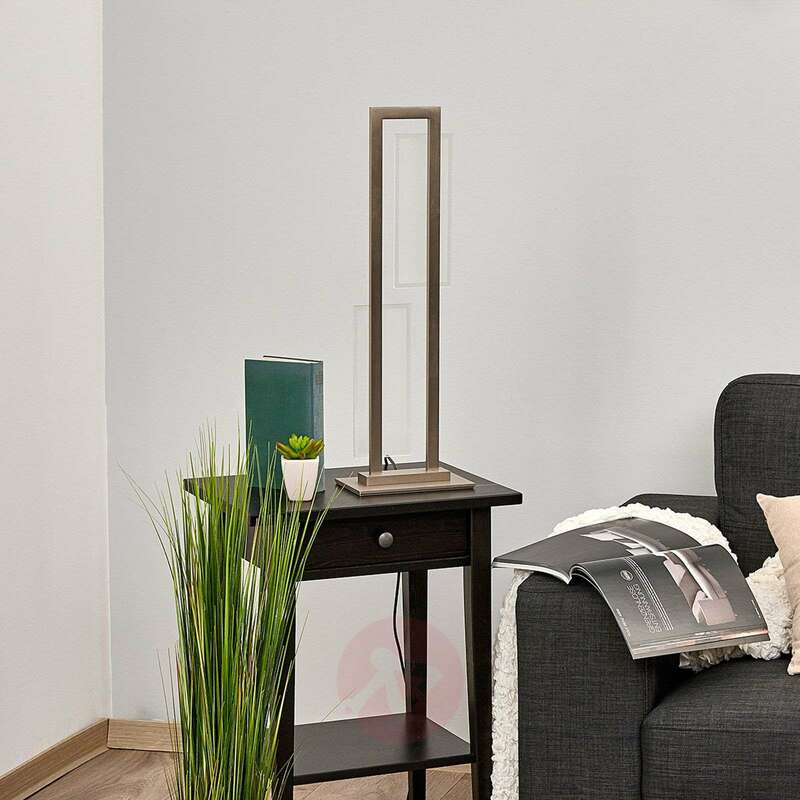 When you consider the height of the table lamp, you have to admit that it is not a compact light source but rather has a special presence. 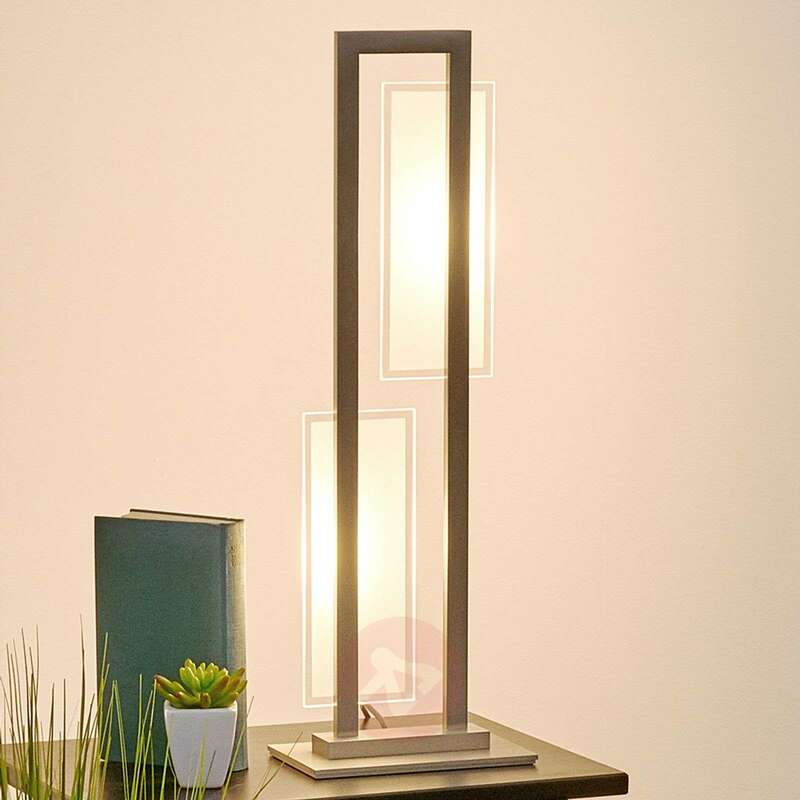 The LED table lamp harmonises well with modern interiors. As table lamps are often used for accent lighting in the evenings, it is great news that Nele can be dimmed. Thanks to the dimmer the light can be set a little brighter when you want to read and then dimmed in the evening when you want to sit back and relax and enjoy the cosy atmosphere.